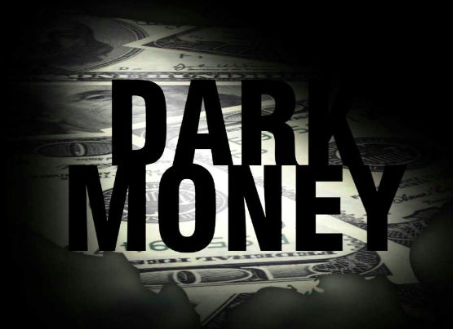 Dark money and the subversion of democracy – but does anyone care? In everyday life, if you break the law and get caught, you’re punished. In some cases it’s a fine, in other cases it’s life imprisonment. Why the difference? That’s because, as Gilbert and Sullivan put it, we must “let the punishment fit the crime”. Minor offence, minor punishment; major offence, major punishment. Brexit is now being spoken of as the gravest political crisis Britain has faced since WW2. So if someone told you “They counted the votes wrong – the Remain side actually got more votes than the Leavers”, you’d probably go ballistic, because the core issue of democracy, voting, had been perverted and undermined. But supposing you heard instead “Vote Leave got more votes than Vote Remain, but Vote Leave broke the rules about how much money you can spend on pushing your case”? Referendum campaigns are a costly business and play a huge role in persuading the public to make their mark on the ballot paper. Yet the fact of the matter is that Vote Leave did break the spending rules. They spent well over half a million pounds beyond the spending limit. Another Leaver outfit, Leave.EU, was fined £80,000 for breaking the rules. There are some big question marks hanging over the DUP, which was involved in Leave spending which is now looking decidedly dodgy. But you know that won’t happen, any more than the famous ‘backstop’ will happen. Theresa May has now put into law a guarantee that there’ll be no border in the Irish Sea – in other words, our NEN will go the way of Britain in terms of Brexit. If it does, then Theresa May lied when she promised the back-stop last December. Now, as things stand, a hard British border in Ireland will follow yesterday’s House of Commons decision as night follows day. The back-stop that would have prevented border change becomes an impossibility. But hey- life’s not all doom and head-banging. Look out your window and cheer up: it looks like being another lovely day.